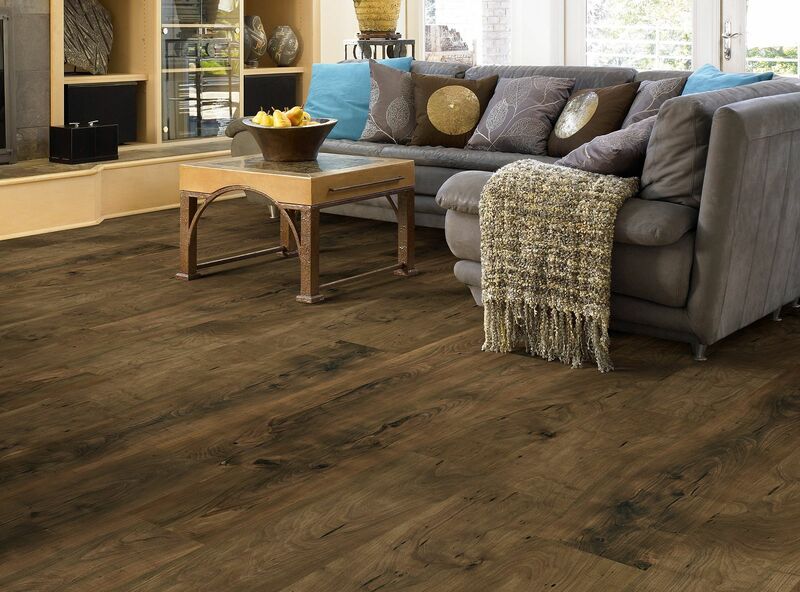 Shaw’s Laminate flooring goes perfectly with radiant heating systems. Our laminate flooring is approved for use over radiant heating systems. To help you achieve the perfect installation, we’re giving you a few pointers before you get started. If you’re installing our laminate in a home where radiant heat is used, it is important that all installation guidelines are followed and approved underlayments are used. The radiant heating system must be designed specifically for use with laminate flooring. It should also include a surface temperature probe as well as thermostat controls. The following list contains important information about installing our laminate flooring over radiant heat, so don’t skip ahead! Read and follow each step carefully for best results. Newly installed water-type radiant heating flooring systems should be in operation, with the temperature set between 64-72 °F, for a minimum of 4 weeks. This will ensure that any subfloor moisture has properly dried. Older/existing water-type radiant floor heating systems need to be fully pressure tested, properly maintained and set to a minimum of 64 °F for at least 4 days before delivery, acclimation or installation of the flooring begins. Electric mat or mesh radiant heating systems must be specifically designated as suitable for use with laminate flooring systems by the manufacturer. Always check wood sub-floors to ensure that the moisture content is less than 12% using an accurate wood moisture meter. Concrete sub-floors must register "dry" using a reliable concrete moisture meter. The PH level of concrete sub-floors should register between 6 and 9. Sub-floors must fully comply with all of the above "dry" requirements before proceeding with the delivery, acclimation, installation and any other required curing processes. Regulate the job site to ensure that the relative humidity is between 35 and 65 percent, and that the temperature is between 60 and 80 degrees F, throughout the flooring delivery, acclimation, and installation. After completing the installation, do not change/adjust the radiant heat settings for at least 48 hours. At any given time after the initial 48 hour period, the homeowner should only increase or decrease the temperature settings 4 to 5 degrees per day, so that the laminate flooring can gradually adjust to the temperature changes. Never raise the flooring surface temperature setting above 85 degrees F.
It is important to note that when laminate is used over a radiant heating system, minor gapping can occur and should be expected. Maintaining consistent relative humidity levels will help to minimize this occurrence. Seasonal changes can also have the same effect on laminate, so temperature and humidity controls should always be monitored to ensure the best performance. Laminate is versatile and easy to maintain, making it a great choice for almost anywhere in your home. It can stand up to the heavy traffic of a living room, the non-stop action of a kids room.